Ikkat pattu parikini comes in Royal blue with combination of Red and mustard colors. 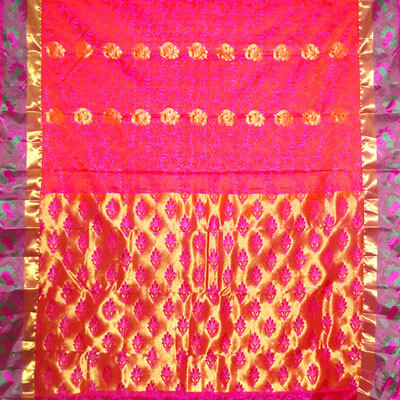 The rich design in middle of the parikine with zari border makes your dear one look like princess when wore. NOTE: Same day Delivery for Hyderabad and Secunderabad. For other places requires minimum 2 to 3 WORKING DAYS. Ikkat pattu parikini comes in Red with combination of Royal blue. The Zari line in middle of the parikini along with designer border looks beautiful when wore during festivals and special occasions. Length: 53 cms ( 20 inches) NOTE: Same day Delivery for Hyderabad and Secunderabad. For other places requires minimum 2 to 3 WORKING DAYS. 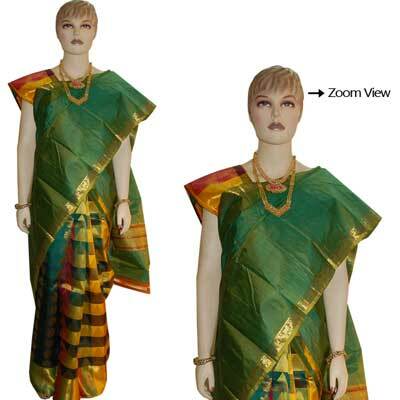 Ikkat pattu parikini comes in Light green and Royal blue combination. Light green color in middle of the parikine with printed design along with Royal blue with design and zari border looks beautiful when wore during festivals and special occasions. Length: 53 cms ( 20 inches) NOTE: Same day Delivery for Hyderabad and Secunderabad. For other places requires minimum 2 to 3 WORKING DAYS.